ISO, or the International Organization for Standardization, is an international standard-setting body based in Geneva, Switzerland. It’s made up of a bunch of different representatives from a wide range of proprietary, industrial, and commercial standard organizations. Basically, it’s the organization responsible for defining and implementing all of these standards. The ISO itself doesn’t actually certify anything. Certifications are all done by third-party organizations. The number after ISO is the identifier of the standard. ISO 9001 is one of the most well-known ISO standards, defining criteria for general quality management systems. ISO 9001 is part of the wider ISO 9000 family. All standards within ISO 9000 refer to quality management. Essentially, this standard is designed to help organizations to be more efficient and more successfully meet the needs of their customers. At least one million companies and organizations in 170+ countries are certified to ISO 9001. ISO 9001 is also the only standard in the 9000 family that can be certified to. 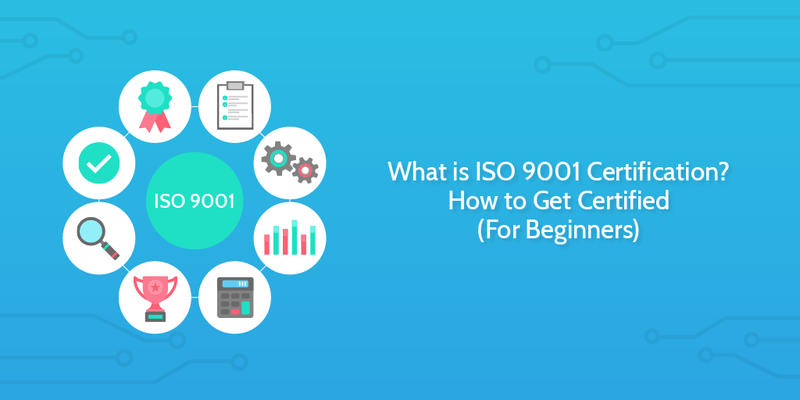 This certification is not a requirement, and organizations can still implement principles of ISO 9001 informally, without getting certified. Technically, only organizations can “get certified”. However, individuals can become Certified Lead Auditors, or Registrars, in order to perform audits on organizations. Certification will generally cover the entire organization, with focus on specific facilities or departments tailored to improve performance in that area. ISO 9001 is an international standard for a quality management system (QMS). ISO 9001 is part of the larger ISO 9000 family. ISO 9001 is the only standard that can be certified to. There is no such thing as “ISO Certification” or “ISO 9000 Certification”, only “ISO 9001 certification”. Individuals cannot get ISO 9001 certified; rather, organizations or companies get certified. Individuals, however, can get certified to become an ISO 9001 Certified Lead Auditor, which enables them to audit other companies. Size of the organization does not matter. It could be 1 person or 100,000. ISO 9001 is a general standard for quality management – it doesn’t matter what industry you’re in. ISO 9001 is a process-focused standard, as opposed to a product-focused standard. It is not designed to define product quality (although if your process is good, then your product should be too). What does it mean to have an ISO 9001 certification? Organizations that are ISO 9001 certified have successfully implemented a quality management system in accordance to all of the requirements detailed in the ISO 9001 standard. Part of the ISO 9001 certification is making sure areas for improvement are identified and acted on. As such, organizations with ISO 9001 certification can be assumed to provide products and/or services that meet strict quality management standards. The quality management system is central to the ISO 9001 standard. At its most simple, a quality management system is a set of principles or guidelines for standard operating procedures that you can use to measure the “quality” of various aspects of your business. Think of it as a collection of policies, processes, and documented procedures that define the ideal way you want to be delivering your product or service to your customers. It’s almost like a system for business process management, except with a focus on quality control. Each QMS will be different, tailored to fit the needs and goals of the company using it. What the ISO 9001 standard (and more generally, the ISO 9000 family) does is provide a set of guidelines to help you design and implement a successful QMS. Of course, a QMS alone won’t automatically make you ISO 9001 certified, but it’s what the whole certification is based on. ISO 9004 is designed to improve the success rate of the QMS that 9001 defines. For a more detailed look into the inner workings of a QMS, check out our quality management system article. Being certified to ISO 9001 standard is an internationally recognized symbol of prestige and quality assurance. Certified organizations are assumed to have achieved a consistent system for ensuring high levels of customer satisfaction and continuous improvement. There are a wide range of benefits that make ISO 9001 certification an important consideration for any organization. I’ve listed the main benefits below. The ISO 9001 approach looks at both the individual processes as well as how all of those processes interact with one another. By examining the relationship between all of your business processes in the context of a QMS, you can locate areas ripe for improvement and optimization. Utilizing data and evidence to inform your decision making is necessary if you want to achieve your business goals. Collecting adequate reports and sufficiently documenting your processes is also necessary, so you have data to work with in the first place. Quality management systems are good at this, and provide a framework for documentation of all processes within your business. One of the most important factors driving the implementation of quality management systems is the focus on improving customer satisfaction by identifying their needs and goals. Improved customer satisfaction then leads to ongoing business. When it’s clear to a customer that you have achieved the high standards of quality required by an ISO 9001 certification, they will more readily place their trust in you. Fostering a culture of continuous improvement can help to improve worker morale (as well as general workplace happiness) by making workers feel like they’re actively involved in, and responsible for, the development, implementation, and optimization of the processes they use on a daily basis. Besides, it makes sense that the people making decisions about design and optimization of a specific process are the ones actually using them on a daily basis. By bringing your whole workforce together to build on and improve existing processes, you not only foster a culture of continuous improvement, but also align workers with the goals of the organization as a whole. To get certified, you basically have to implement a quality management system according to the most recent ISO 9001 standard to set up a quality management system, then proceed to have that QMS audited by a certified auditor. The result is a certification that typically lasts for three years, after which the organization will have to be recertified. Technically, it is only possible for organizations to get an ISO 9001 certification, but for the sake of clarity I have included a section that outlines how an individual can become a Certified Body (CB or Registrar) in order to perform certification audits for organizations. It should be clearly stated, that ISO 9001 is not a group that organizations can just “join up” to. It is a certification that must be achieved as part of a specific auditing process. Have an audit performed by a Certified Body (CB or Registrar) to assess the performance of your QMS against the latest ISO 9001 standard. As stated above, ISO 9001 is not a personal standard, and as such individuals cannot “get certified”. They can, however, become certified auditors after a 5 day training course. The easiest way to understand the first steps towards an ISO 9001 certification is to see an example of how a quality management system might look in practice. The template is completely free: just sign up for a free Process Street account (it takes about two minutes) and you can get straight to it. Process Street is a business process management software for designing, deploying, monitoring, and optimizing workflows. It’s designed to make recurring tasks fast, fun, and easy. The actual, official ISO 9001 standard as defined by the ISO is split up into 10 sections. The real meat of the standard is in the final seven sections, so the first three are only touched upon here. I’ve outlined the contents of each below. The first three sections are largely introductory, containing general information about the organization’s goals as well as references for ISO terms and definitions. For the sake of this article, and in the interest of understanding the process of getting ISO certified, they are not important. This section deals with trying to understand the organization in its current context. Context, in this sense, refers to internal and external issues that could impact strategic direction, as well as a list of interested parties and stakeholders. Context also covers the scope of the quality management system, including a complete list of company procedures. This one is basically concerned with defining the role of various decision-makers in the design and implementation of the QMS. It typically includes a list of relevant persons along with their roles and responsibilities, and how they factor into the implementation of the QMS. The section should clearly outline commitment of management to ensure customer satisfaction, the specific definition of the quality policy and the various roles and responsibilities relevant to the QMS throughout the organization. The function of this section is to clearly outline risk and opportunities for the implementation of the QMS, as well as clear objectives for improvement and the plans to achieve those objectives. Including a SWOT analysis in this section is useful for aligning objectives for improvement with the risks and opportunities present. Support essentially focuses on the management and allocation of resources in the design and implementation of the QMS. It includes human resources, buildings, infrastructure, work environments, organizational knowledge, monitoring, and tracking resources. As well, the documents and records required for all processes in the organization will typically be defined here. This section deals with everything relating to the planning and deployment of products or services within your organization. It includes requirements for planning, product feature requirements, product design, review, and any additional service-related operations. This will detail everything necessary for analyzing performance of the QMS. That includes tracking and evaluating any and all process parameters, quantifying and assessing customer satisfaction, performing internal performance audits, and the ongoing review of the QMS itself. The final section is everything necessary for the continuous improvement of the QMS. This includes assessing processes and taking corrective action for those processes deemed ineffective. For example, if using a BPM software like Process Street, this could take the form of determining whether checklist template features like conditional logic or dynamic due dates could be used to automate parts of a process. Take a look at this video for some more ideas on how you can use conditional logic in Process Street for your standard operating procedures. 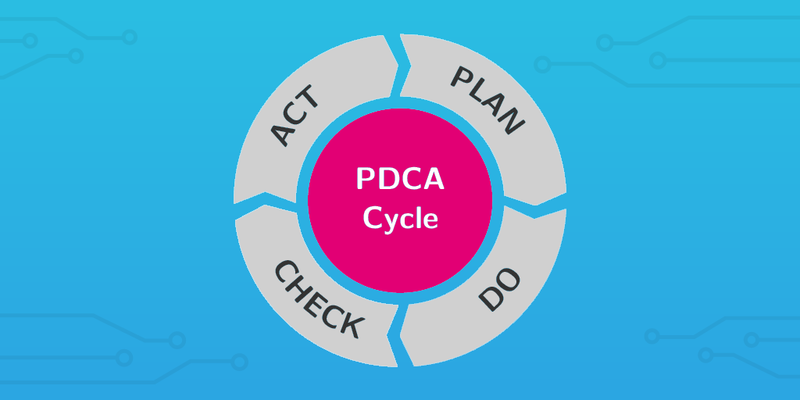 As stated earlier in this article, this section is based on the Plan-Do-Check-Act cycle, which uses each of these stages to effect change within the organization to the end goal of driving and improving all processes. Have any questions about getting ISO 9001 certification? Leave a comment below, and we’ll get back to you!